The Filson Dry Duffel Pack is every outdoor junkie’s trusted partner for keeping his gear organized and as dry as bone. This also makes the Filson a worthy companion among anglers, kayakers, and ordinary individuals who have to brave the rain with their gear in tow. 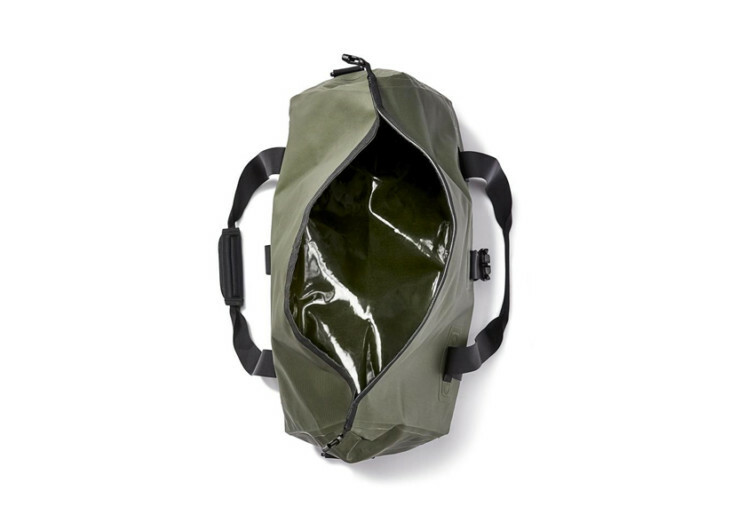 This is a bag that comes with rain jacket properties in a neat duffel design. 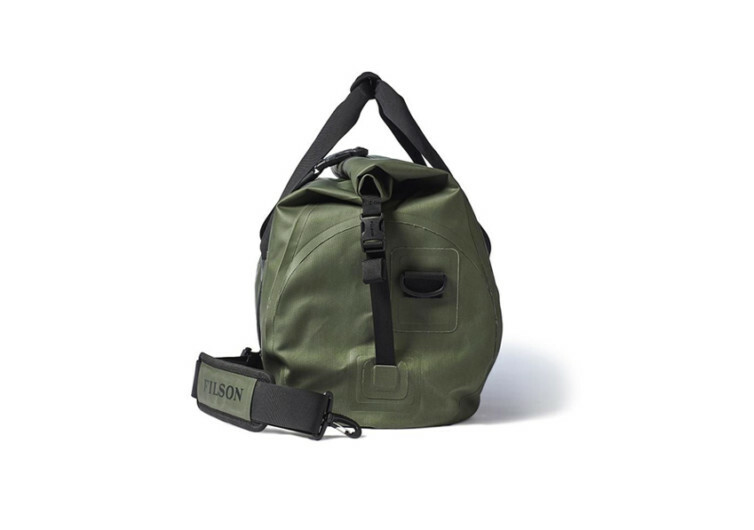 The exterior of the Filson features a super-tough 840D nylon and is coated with premium polyurethane. 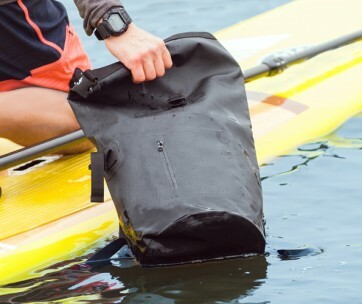 This gives this Dry Duffel Pack the ability to protect its contents from water and moisture ingress. Complementing the waterproof exterior is the Filson’s watertight construction. It comes complete with a waterproof roll-top closure. This keeps water out while keeping the interior bone-dry. 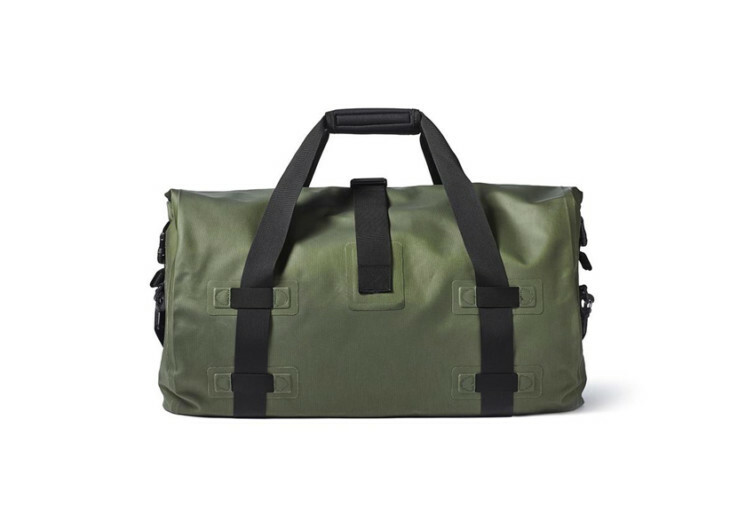 Speaking of the interior, the Filson is a 54-liter capacity duffel bag that can accommodate anything and everything. You can put all of the important things you need to make for a worthy outdoor adventure. There are no individual storage organizers inside the bag so you get to stuff it with almost everything you need. It measures 25 inches long, 12 inches wide, and 14 inches high. Keep in mind these dimensions so you’ll know which items will fit and which ones will not. 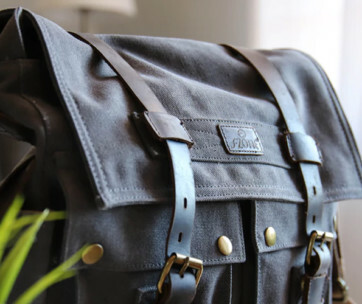 Carrying the Filson on your shoulders is never a problem. 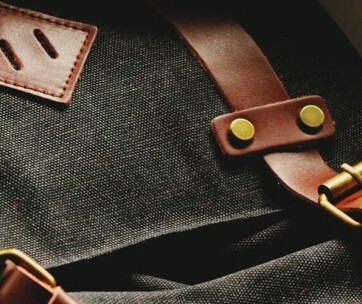 The shoulder straps come complete with comfortable padding. You can also remove the shoulder straps if you want. It has dual grab handles with wraparound nylon webbing for a more comfortable hold. This can also help improve your grip on the duffel bag. Adding to the lightweight characteristics of the Filson is a host of hardware that feature high-density plastic. Sure, it’s not metal, but you can always trust the material’s strength and durability. 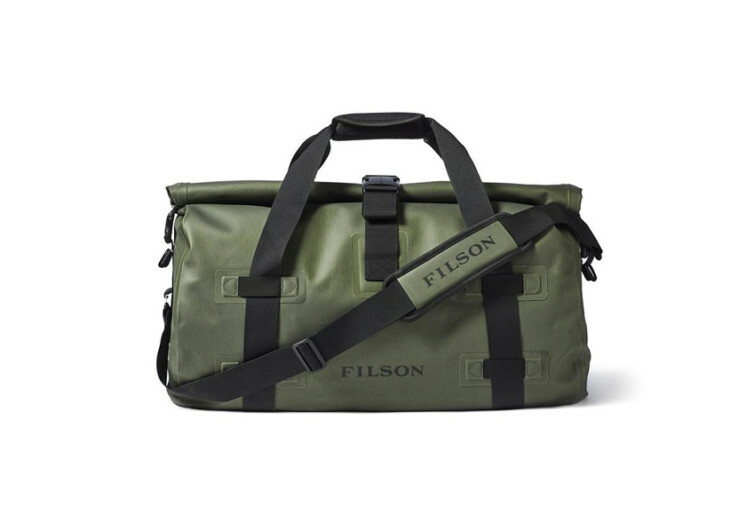 The Filson Dry Duffel Pack is every outdoor adventurer’s best friend. It’s an all-weather bag perfect for weekend adventures.